The Tweet is deleted, but a screen capture is out there. You can delete, but you can't scrub it. Oops! Michael "DJ House Shoes" Buchanan's is Tweeting again with a clean Tweet. What's the matter? Can't take dissenting opinion? Got butthurt! You can delete, but screen capture lasts forever. 1. Open up new tab or, better yet, new browser window. 4. Copy url from the DU post. 5. 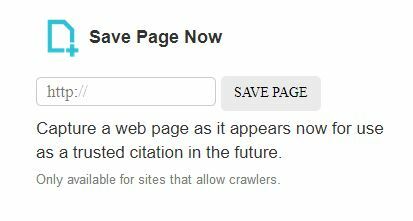 Past url into the text box and click "SAVE PAGE" button. 6. You may have to wait a few seconds, sometimes even a minute or two, but once it's done, the page is forever archived. Make sure you copy the archive link and keep it handy in case MIRT takes down the live shot. The legal team representing Covington Catholic High School student Nick Sandmann, who was confronted by a Native American activist in Washington in mid-January, said they made an important move on Jan. 30. Todd McMurtry, an attorney who is helping represent Sandmann, said that he had a productive day with Lin Wood and Taylor Wilson, who are also part of the team. “We sent out our first round of document preservation letters to a number of national media outlets. We have put them on notice!” McMurty said via Twitter. The media and left are the bullies and mobs. “A mob comprised of activists, church and school officials, members of the mainstream print and broadcast media, and individuals on social media, including elected public officials and celebrities, rushed to condemn and vilify this young man by burying him in an avalanche of false accusations, false portrayals, and cyberbullying that have threatened his reputation and his physical safety,” they added. Robert Barnes, the lawyer for the Covington Catholic High School students who were the focus of a recent slew of false reporting, received a bomb threat after he warned media and celebrities that they may be the targets of a libel suit if they didn’t retract or correct false statements about the students within 48 hours. The threat was sent via email through the contact form on the website of Barnes’ law firm on the morning of Jan. 23. “I’m coming to bomb your office. Get ready. 48 hours. Be ready,” the message read. Even with the longer and more videos, the left has doubled down. The left is really off kilter and violent prone. It is now up to at least 50. Here is the list so far. New York Times, Jim Carrey, Alyssa Milano, Bill Maher, Kathy Griffin, Ilhan Omar, Michael Rapaport, SE Cupp, and Reza Aslan are among them. I expect more to come. I would not be surprised to see DU on the list. Doug Robertson deleted his Tweets. Oh, one problem, there is something called screen capture and Archive. ST. LOUIS COUNTY, Mo. (KMOV.com) -- The controversy over a viral interaction between a Native American and a Kentucky high school student in Washington led to a controversy at a St. Louis-area high school. A teacher at St. John Vianney High School has resigned because of a tweet harshly criticizing the boys in the video, who had come from a pro-life march and were accused of harassing and mocking participants of the Indigenous Peoples March in Washington D.C. in January. Dawn Finley taught English at Vianney for nearly six years but stepped down from her job after she retweeted someone else's politically-charged thoughts about the happenings at the march. She has a history of re-tweeting vile stuff. There is also screen captures for that as well. That school's students will be the smarter for having her not poisoning them with crap and wasting class time with her poison. To the north of Colorado Springs, Douglas County School District parents and other community members plan to protest Tuesday over what they consider unfair practices. The group will demonstrate from 5:30 p.m. to 6:15 p.m. in front of the administration building, 620 Wilcox St,.in Castle Rock, against “teacher bullying” and the school board not allowing them to speak publicly at the January board meeting. Brad Wann, a parent and one of the organizers of the demonstration, is one of five people who wanted to address the board last month about what they say is a concerning development in their district. What Michelle Grissom did was bullying and harassment on a person who was not even in Washington, DC when that incident happened. She needs to be fired. She was referring to a January incident in Washington, D.C. involving students from the school and a Native American activist. Grissom, also a district union leader, attempted to instigate an online mob against the teen, Wann said. She also misidentified the student she was talking about, citing the name of another person. Grissom should be training to run the French fry machine at BK[/i] (M would be too good for her!). She cannot be trusted around students! But because she's a union thug she might get transferred, at most. DOUGLAS COUNTY, Colo. — The superintendent of the Douglas County School District has made a recommendation to the school board to fire a teacher who is accused of derogatory comments directed toward a Covington Catholic school student following an incident in Washington, D.C. last month. Hope Michelle Grissom gets sued along with Kathy Griffin and Bill Maher. She should be in prison. I'll believe it when I see a sob-story about her life on unemployment. You said you were off Twitter. Yet, you are still on. I expect she will be sued. Kirsten Powers said she would leave Twitter for good. Yet she returned. I expect a lawsuit against her. Todd McMurty, the co-counsel for Sandmann, told Fox News on Feb. 7 that legal action was being considered against dozens of celebrities, media, and other groups on accusations of libel and defamation. 52 people have been targeted ranging from Michael Rapaport, Kathy Griffin, Bill Maher, and Alyssa Milano. McMurty said on the Todd Starnes Show that the legal team had stepped up preparations of the suit, which could target hundreds of individuals and entities. More are going to get sued. Perhaps Kirsten Powers, Jack Morrissey, Michelle Grissom, and Sarah Beattie are next. People who threatened violence against the students of Covington Catholic High School may face up to five years in prison thanks to a Kentucky law that elevates threats against schools and students to felonies. Commonly, violent threats are treated as misdemeanors in the state (pdf), where the private religious school is based. They should be charged. I wonder why there are no federal charges being made as some of the threats are from outside of Kentucky. Is the KY law against threatening students and teachers a response, perchance, to nutjobs who did school shootings? Investigators say Catholic school boys did not start confrontation in D.C.
Covington, KY (AP) - COVINGTON, Ky. (AP) - Investigators hired by a Kentucky diocese have found that Catholic school boys didn’t instigate a confrontation at the Lincoln Memorial that went viral on social media. Case closed. The Covington Boys have been cleared. They did nothing wrong. They should never have been subject to a viral video. I wonder if that means the death threats from DUpipo will stop. An increase would be more likely. Plus urging people to write colleges asking the colleges to refuse admission to Covington High grads. Any thread on DU about this report will probably exceed EPA standards for howling and dripping hatred. Here's the actual Covington Report. They are doubling down on more death threats. They realized some are under investigation and some are getting sued. Good. And Nathan Phillips is getting sued. Lawyers for Covington Catholic High School student Nicholas Sandmann intend to sue the Native American activist who got the ball rolling on the agenda-driven smear campaign against their client and the rest of the Covington boys. L. Lin Wood, an Atlanta-based attorney who specializes in aggressive defamation suits against the media, told LifeSiteNews on Friday that Nathan Phillips’ “lies and false accusations” against Sandmann and the other Covington students are “well documented” and he will be sued. He confirmed to PJ Media on Twitter Wednesday that he intends to sue Phillips. Wood explained in a tweet last week that a sworn deposition from Phillips would "prove invaluable in obtaining justice" for his client. List of who are getting sued. I expect to see Kirsten Powers, Jack Morrissey, Dawn Finley, Michael "DJ House Shoes" Buchanan, Michelle Grissom, and Sarah Beattie sued as well. Perhaps DU? Too irrelevant to national discussion. 1. My schadenboner over suing Bozo's Blog for $250M, has a 5 second radio delay. 2. I never thought I'd agree with Oswald but I too only want Big Chief Four Tooths to be the only one remembered over this vile smear. 3. Michelle Grissom needs to learn to code.